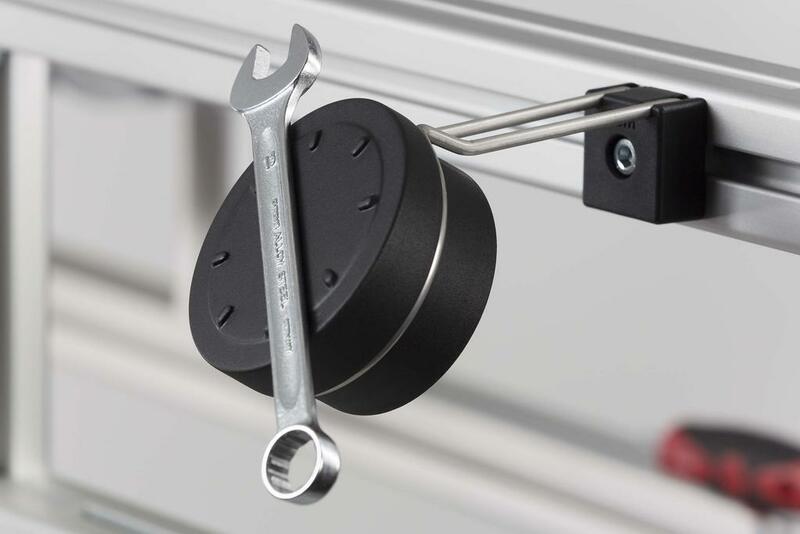 All of these components can be fastened to either the Groove Plate Profile or the standard aluminium Profile 8 range when building a work bench or trolley. 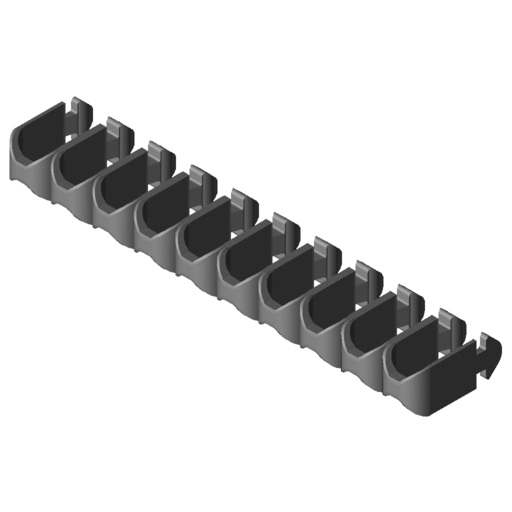 Useful for the universal support of tools and other equipment. 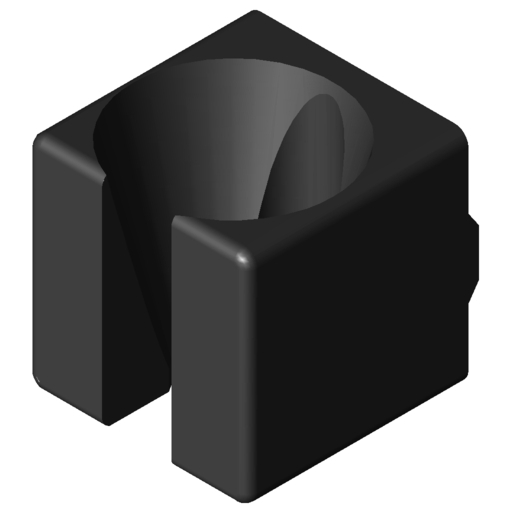 The required screw, washer and T-slot nut are all included. 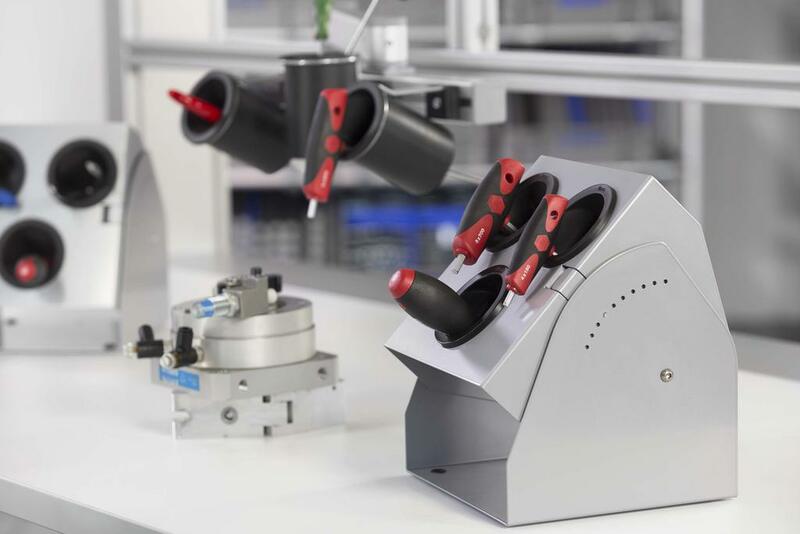 Holder Console D70 is free-standing. 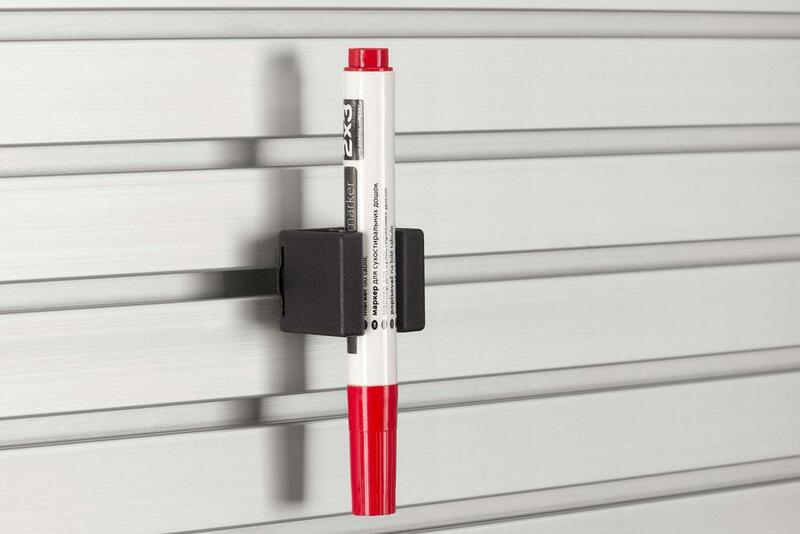 An intuitive solution for keeping frequently used tools close to hand. Raised bumps arranged in a circle keep tools in place. 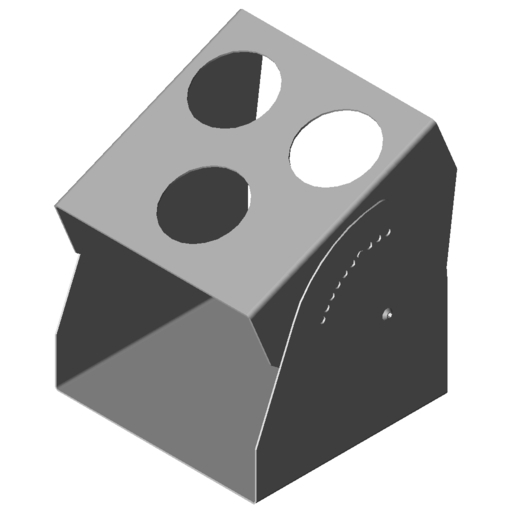 The holder can be rotated to alter the surface angle for better ergonomics. 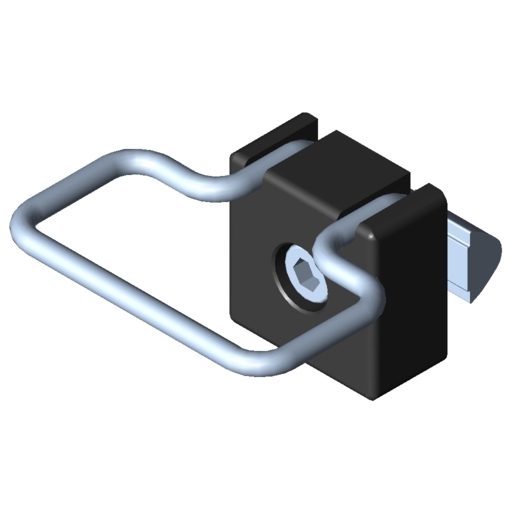 Insert the Magnetic Holder into any of the Holder Support D70, Holder Support D70-30° or Holder Console D70. Every work station needs one. 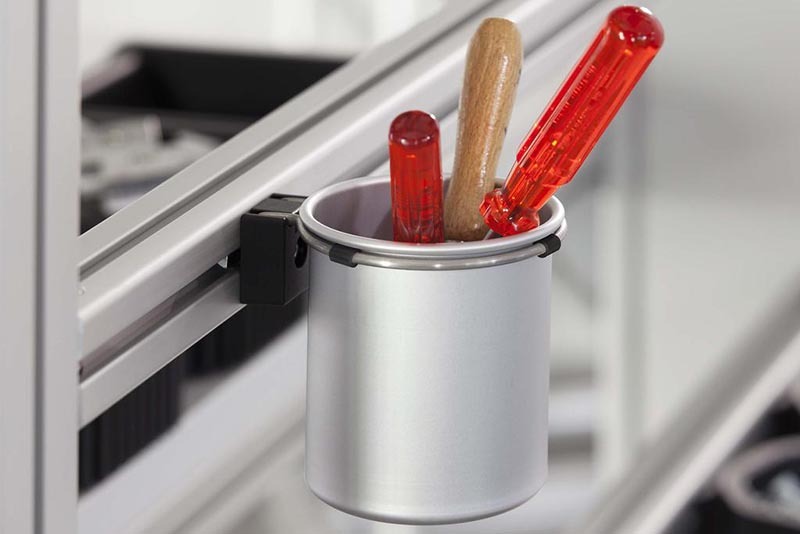 The perfect place to put pens, screwdrivers and other tools and utensils. 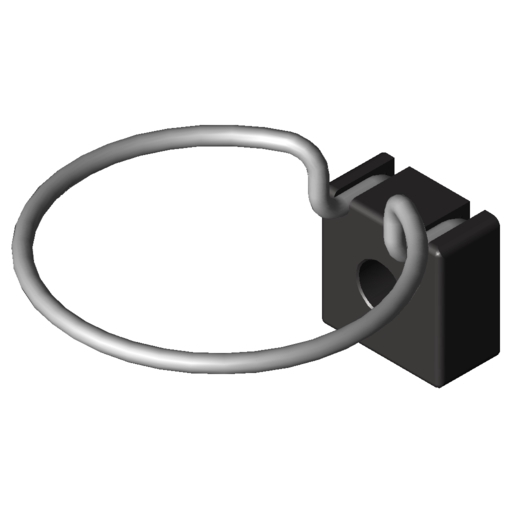 Container D80 fits snugly and securely into Holder 8 D80. 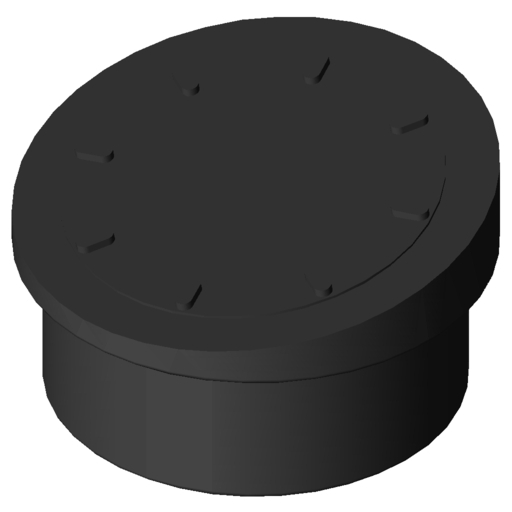 Container Holder 8 160 consists of two mirror-image holders that can be moved separately along a Profile 8 groove to vary their spacing and can thus hold a whole range of containers securely in place. 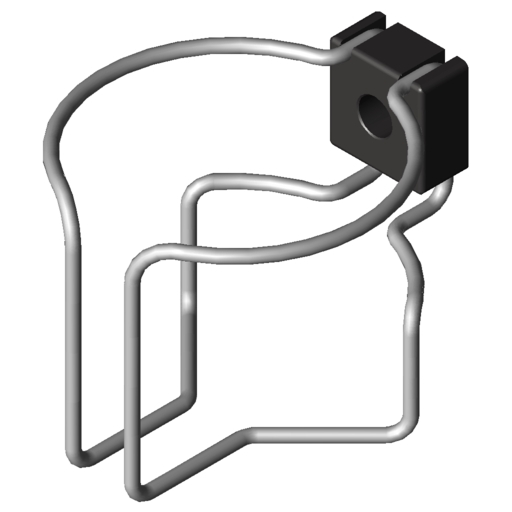 For example, this is the ideal solution for positioning bit sets, small crates and similar containers, which can be swapped out as required. 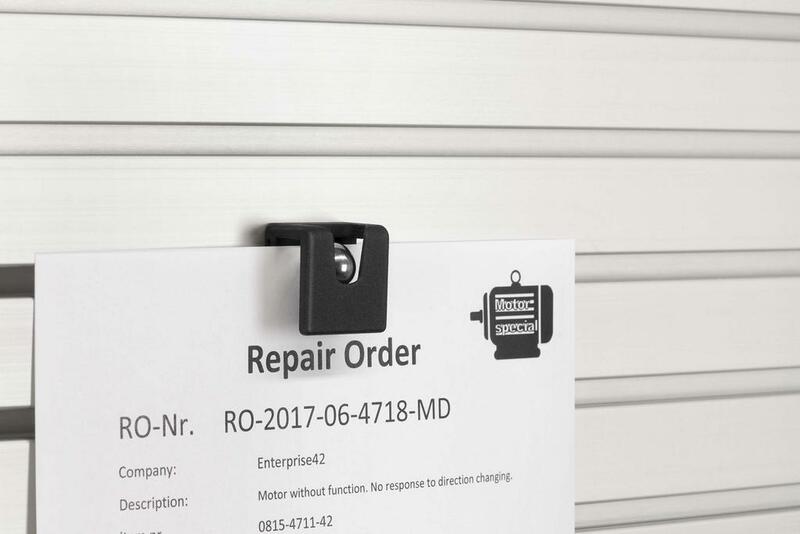 Includes mounts, wires, screws, washers and T-slot nuts. 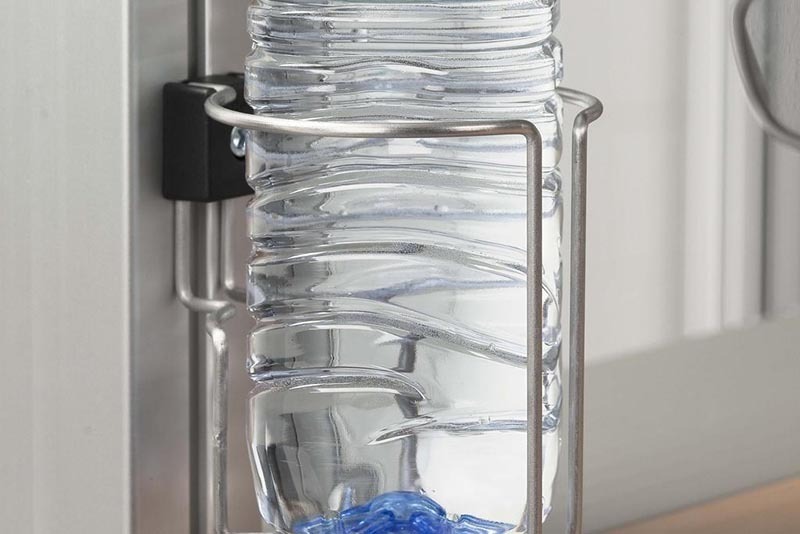 Cup Holder 8, with a diameter of 84 mm, is made from stainless steel wire. 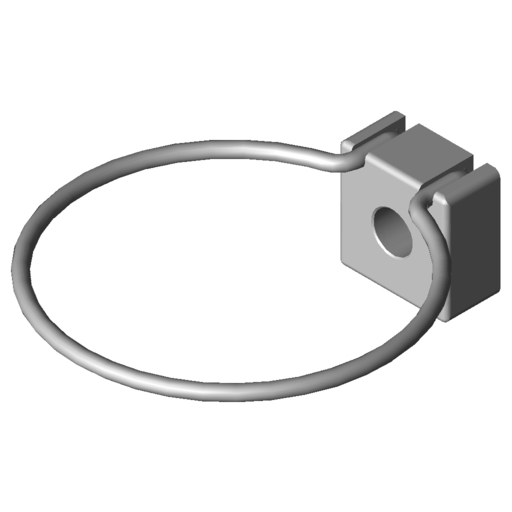 The required screw, washer and T-slot nut are all included. 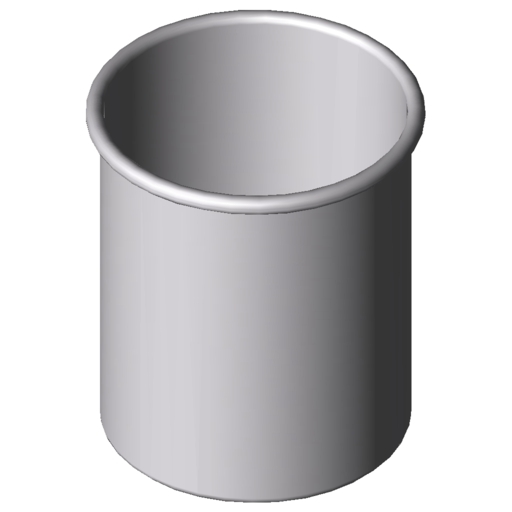 A holder for bottles or cans up to 100 mm in diameter. Made from stainless steel wire. 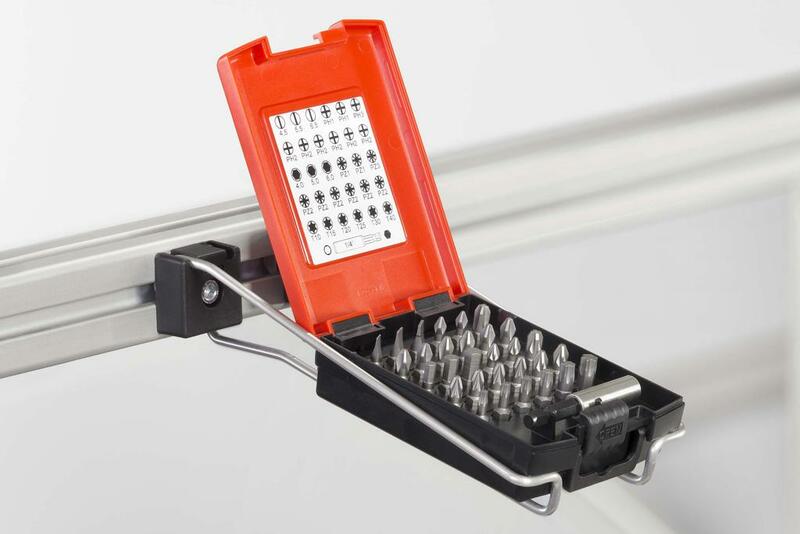 The spring-loaded elements of Tool Holder 8 are made of flexible plastic and enclose any inserted tools and hold them securely. Each unit includes 10 elements. 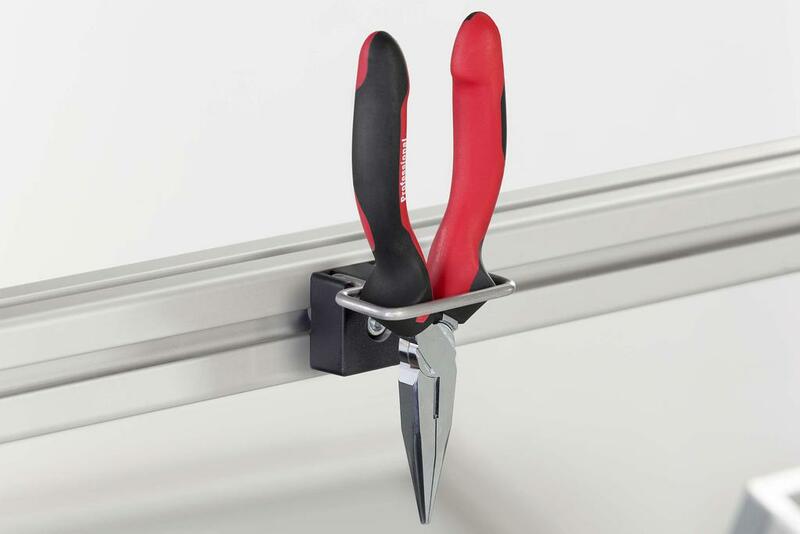 Keep heavy hand tools within easy reach. 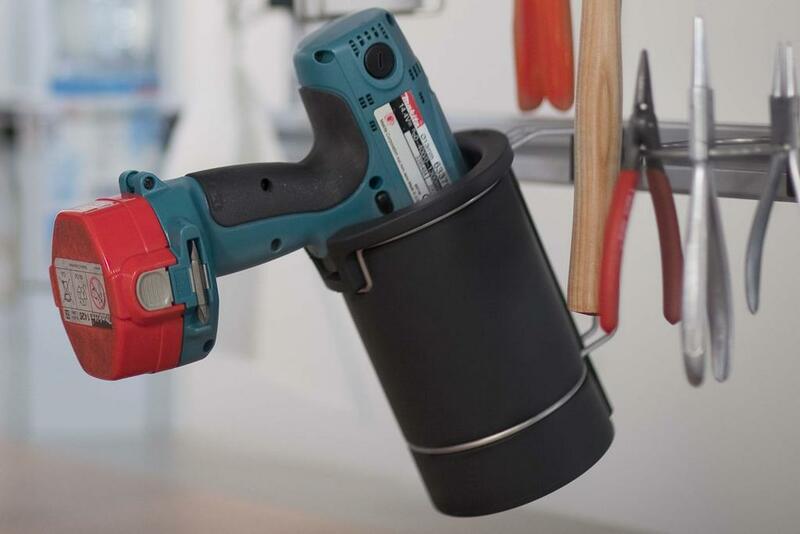 Electric drivers or special tools are held safely and securely in the holder until they are needed. 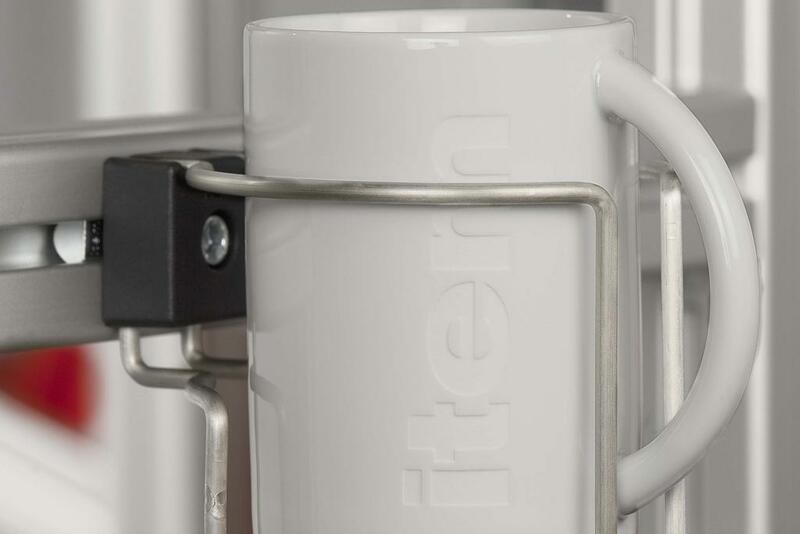 The Tool Holder comprises stainless steel wire and a flexible PU foam insert with an internal diameter that tapers from 90 mm to 40 mm. 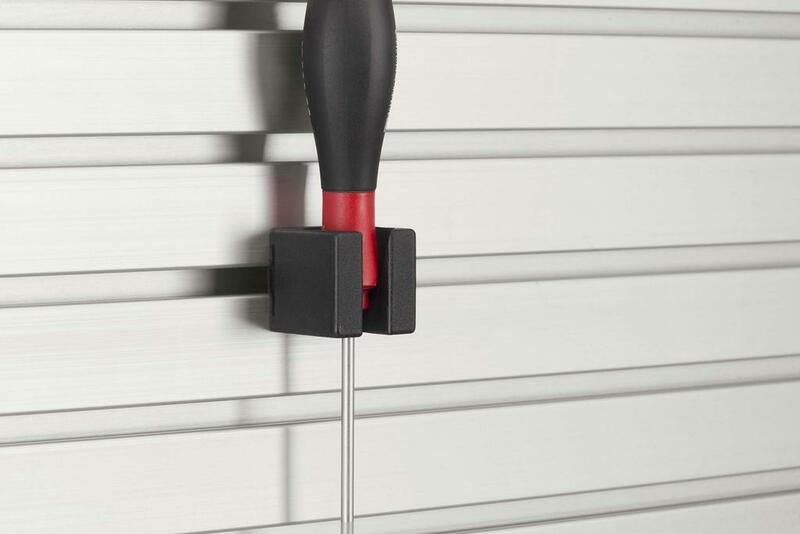 Hold screwdrivers and similar tools securely in place. 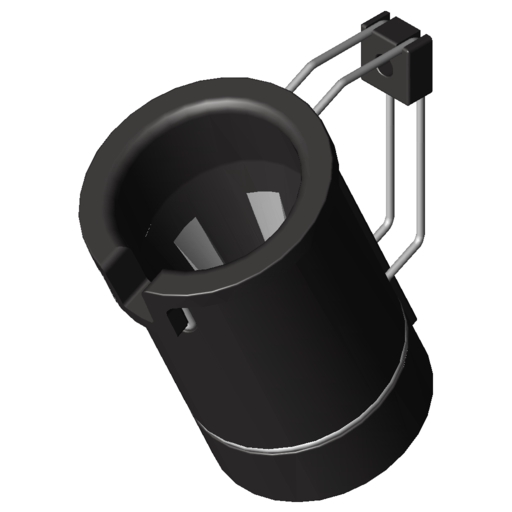 Thanks to its conical interior and the opening at the front, tools can be removed with ease and stowed securely. 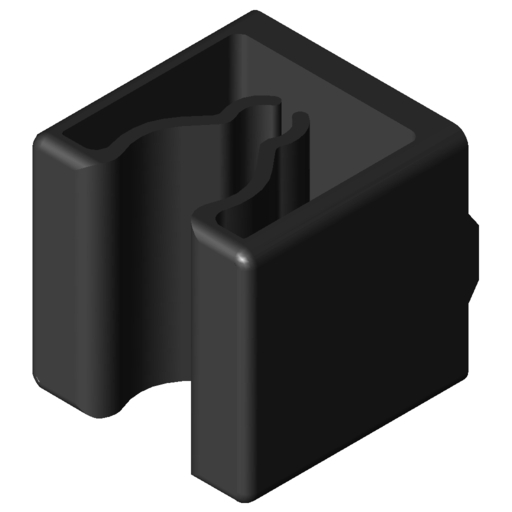 Twist to attach to the groove, no screws or t-slot nuts required. 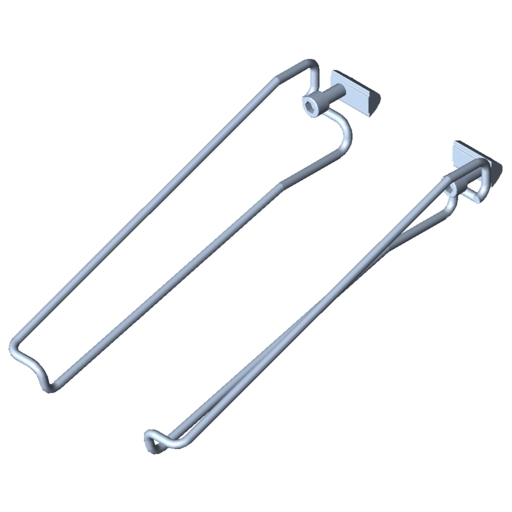 This holder is ideal for keeping bills of materials, orders and other documents that need to be replaced frequently. 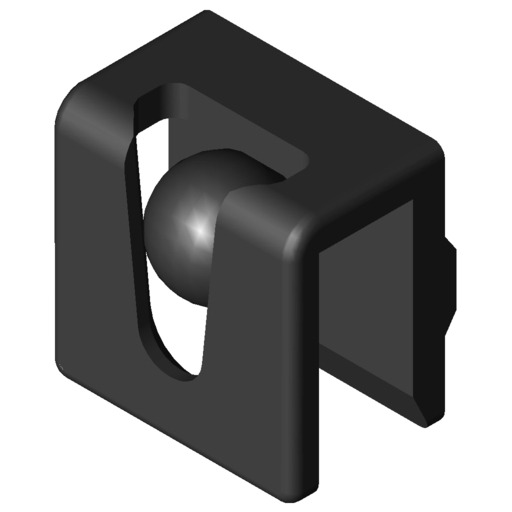 Twist to attach to the groove, no screws or t-slot nuts required. 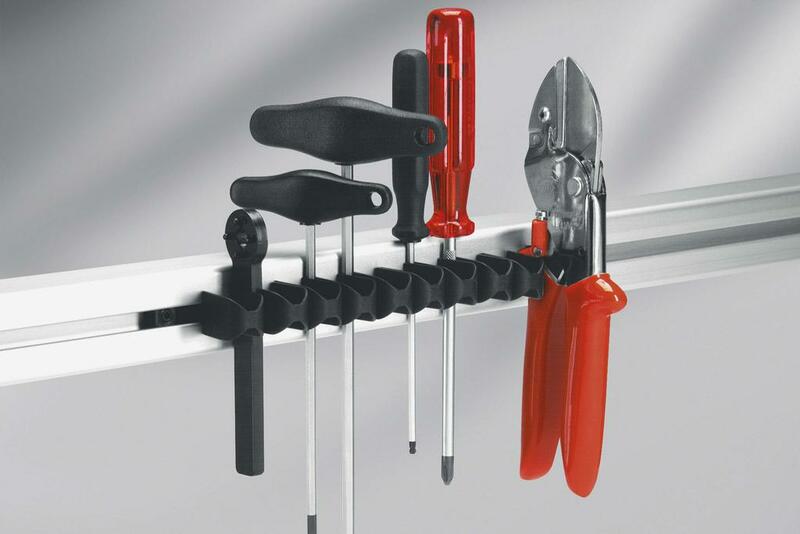 Pliers Holder 8 can hold a whole range of pliers and similar tools to keep them neatly stored and in easy reach. A place for everything and everything in its place. 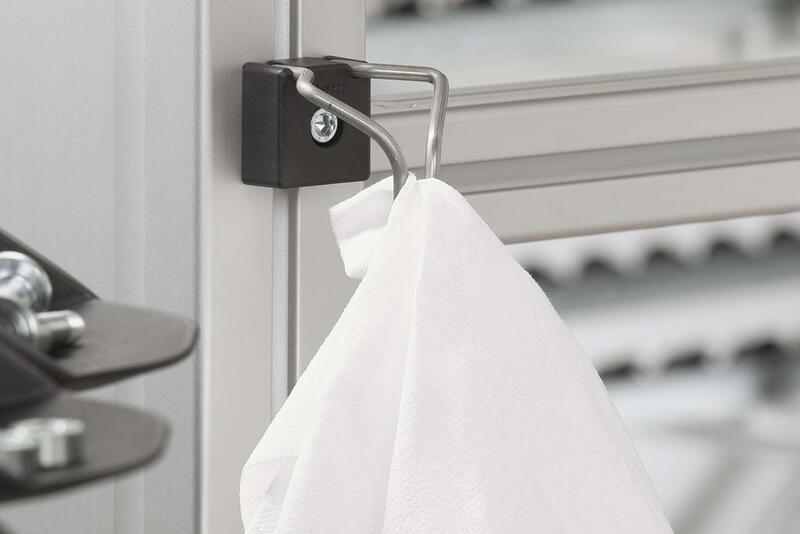 These Cloth Holders help turn this into a reality for your work bench. 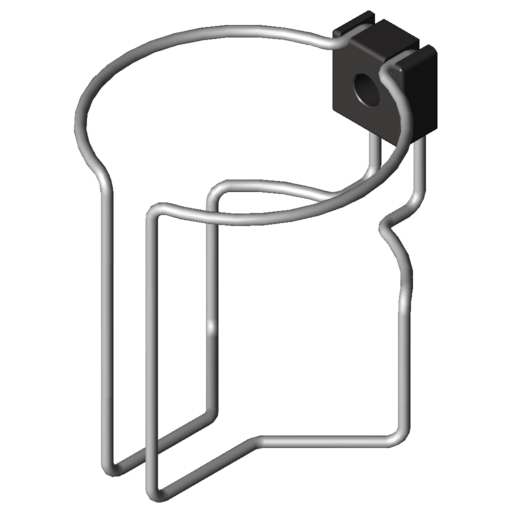 Pens, board markers or pen-shaped tools (7 to 20 mm in diameter) can be clipped into place in this holder with the greatest of ease. 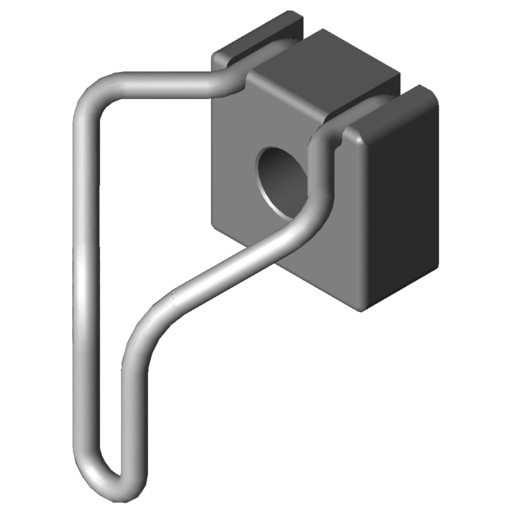 Twist to attach to the groove, no screws or t-slot nuts required.